We will have an athletic trainer on-site at all times. Please bring ankle braces if you need your ankles taped as our trainers cannot tape ankles. If you have any special medical or dietary needs, please speak with the trainer at check-in. Campers will stay in air-conditioned dorms and will be supervised by our staff throughout the day and night. Overnight campers will be provided all meals in our dining hall. Commuters will receive lunch and dinner. Rooms are doubles. If you have 3 campers, we can place an extra mattress on the floor. If you have a large group and would like to be next to each other, please email us your request. Registration 12:30 a.m. - 1:30 p.m. Session 2:00 - 4:30 p.m. Session 9:00 - 11:30 a.m. Session 1:00 - 4:00 p.m. Session 6:15 - 8:30 p.m.
Camp check-out 11:30 - 12:30 p.m.
Commuter can check-out @ field if a parent is present. *Commuters can depart the evening session from the field, if their parent is present. In the morning, commuters should arrive at 8:40 a.m. at the dorms or at 9:00 at the field. Check with your coach which field you will be on in the morning. Wednesday, June 26th 12:30 p.m. - 1:30 p.m.
Check-out/pick-up: 11:30 a.m. - 12:30 p.m. Location: After the morning session, campers will walk back to the dorm for pick-up. Commuters may check out at the field with their coach if their parent is present. 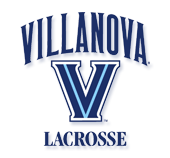 Check out this Lacrosse camp 'Overnight camp' with Villanova Women's Lacrosse Camps & Clinics!